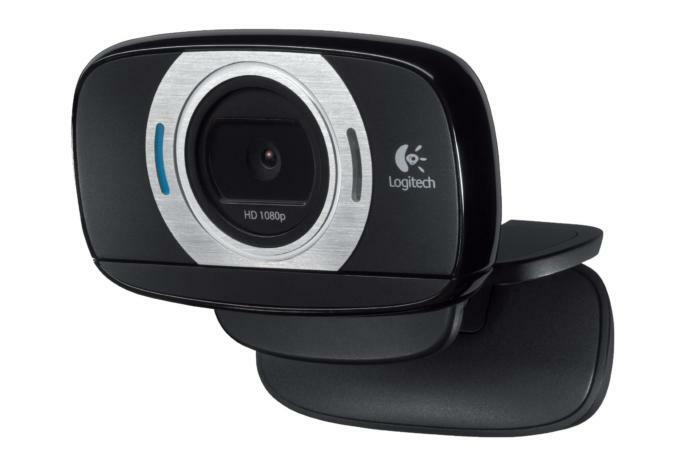 The C615 is pitched as a portable webcam due to its “fold-and-go” design. The hinged clip folds flat to make the unit more compact, as well as travel-friendly. Unlike many webcams, this one can handle the abuse of the road. It’s made of thick plastic and rubber and feels reassuringly sturdy in your hand. The push toward portability also means you only get a 3-foot USB cable instead of the usual 5 to 6 feet. The folding clip attaches securely to any type of display, and it can also be mounted on a tripod. The threaded hole isn’t immediately visible, though—you have to remove a rubber cap on the underside of the mount to see it. The camera features a glass HD lens—a boon for both durability and optical quality—and offers a 74-degree field of view. The head unit rotates 360-degrees—something the higher-end C920 doesn’t do—and tilts vertically, giving you plenty of viewing angles even when it’s attached to your monitor. 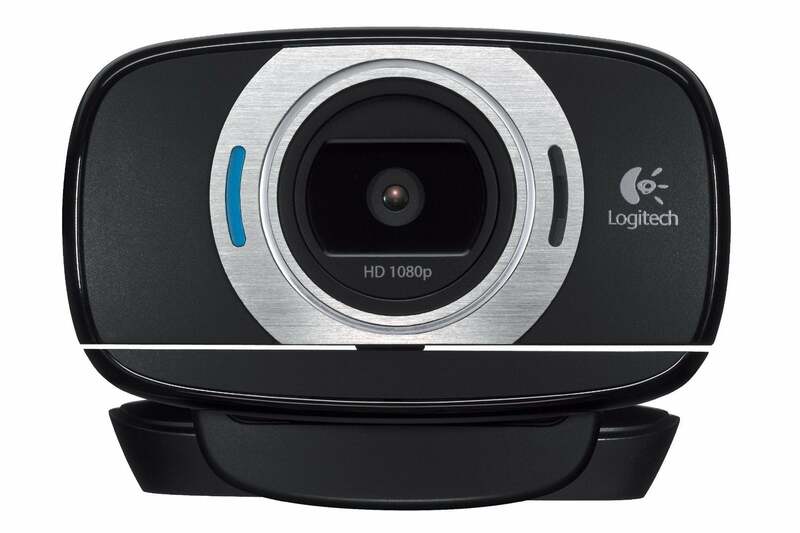 The Logitech C615 offers a multitude of camera angles and folds compactly so you can take it with you. The C615 touts 1080p recording capabilities and 720p video calls on Skype, Google Hangouts, FaceTime, and other video call services. It can also shoot 8-megapixel still photos. 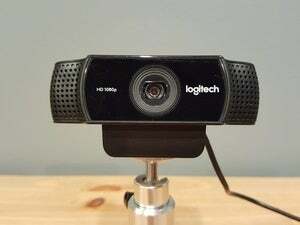 Setting up the camera is as easy as plugging it in to your computer and installing the Logitech Webcam Software. The camera clip gets a nice secure hold on your display, making it easy to rotate the camera with one hand without knocking the base out of position. Logitech’s software provides all you need to change the camera’s settings, plus one-click buttons to quickly upload your photos or video to Facebook, Twitter, and YouTube. Video call quality was excellent in my tests. Autofocus and the camera’s low-light correction feature ensured the image was crystal clear and the colors warm and balanced in most lighting environments. The mono mic produced the best audio out of all the ones I tested, save for the C920’s stereo microphones, with excellent noise dampening. Recorded video was a little disappointing. Although the C615 promises 1080p at 30fps, I had to lower the resolution to get that frame rate. That’s a bummer, but I’ll take smooth video at a lower resolution over detailed and choppy. Still, that feels like a small quibble in light of how well this webcam performed in every other way. Sure, you don’t get the highest resolution possible. But getting great video and audio in a versatile, portable package doesn’t feel like a compromise at all.